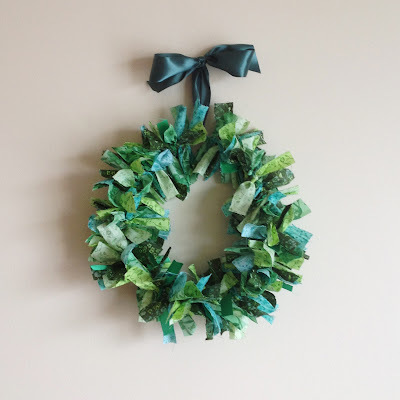 This Journey: St. Patty's Rag Wreath! Welcome to March, everyone! I was hoping March would bring some spring weather, but not so, as we had a big snowfall last night. At least March bring something to look forward to... Saint Patrick's Day! So, as I've shared, I use every holiday as an excuse to decorate. I've been seeing a lot of these rag wreaths on pinterest, so I thought I'd give it a go. 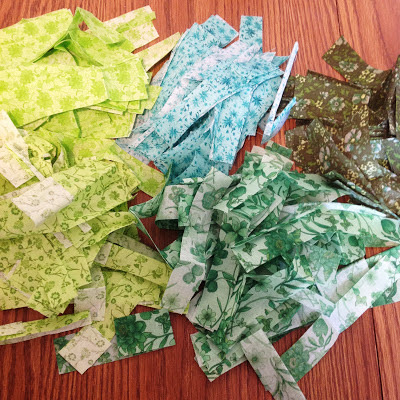 I think the point is to use scraps you already have, but I haven't used much green fabric lately, so I got some fabric quarters in various green floral prints. These were 18 inches by 21 inches, so I cut my strips 6 inches by 1 inch, yielding 63 strips per quarter. 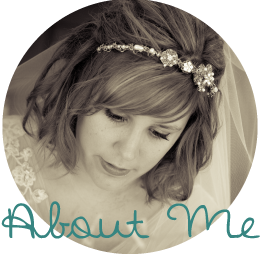 I had five prints, and only used about half of the strips for a 14 inch diameter wreath. Then I used floral wire to make a base, and tied the strips on. Add a ribbon to hang it, and voila! This is our first St. Patrick's Day in Chicago, so I'm looking forward to the whole shebang- dyeing the river, the big parade, etc. Do any of you celebrate or have any St. Pat's traditions? Great link, Bobb! Tom likes to remind me often that Saint Patrick was actually from what was then England. (Of course, he likes to claim that everything good originated in England.) It's definitely worth noting who Saint Patrick really was and what his mission was, especially considering what the day has turned into. Thanks for sharing!